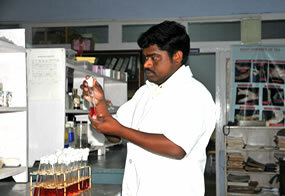 In the division of Plant Pathology & Microbiology, research is carried out on diseases of tea and biofertilizers. Among the tea diseases, blister blight is the most important leaf disease caused by the pathogen, Exobasidium vexans affecting the tender harvestable shoots of tea resulting in enormous crop loss. 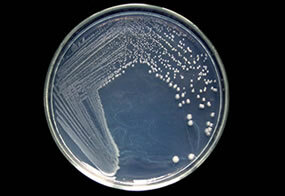 Extensive research has been carried out on the pathogen’s life cycle, epidemiology and control measures. It is to the credit of division that the timely control measures developed in the fifties saved the south Indian tea plantations from being wiped out by this disease. Based on the epidemiological studies, a computerized model has been developed for predicting the incidence of blister blight disease. With the help of this model, disease incidence can be predicted well in advance and based on the prediction, the control measures can be planned which will result in considerable savings in the management of the disease. So far, several fungicides have been screened against the disease and the efficient ones were identified and recommended for use. Hexaconazole, bitertanol and propiconazole are the most effective systemic fungicides recommended against this disease and a combination schedule of triazoles (hexaconazole, propiconazole) and morpholine (tridemorph) fungicide has also been recommended for adoption. Studies are under way to find out alternatives (biological control measure) to chemical control measures. The most important area is biocontrol of diseases by native proven microbes. 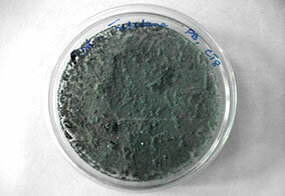 Importance is also being given to the studies on resistance of plants to this fungus. Studies on systemic acquired resistance (SAR) and induced systemic resistance (ISR) are being considered. Understanding the biochemical and molecular basis of resistance can bring out effective strategies for disease control in future. Extensive research has been done on the grey blight and brown blight diseases, which are gained importance as other foliar diseases of tea. Grey blight disease is caused by Pestalotiopsis theae, a wound pathogen. Mature leaves, young shoots and bare stalks are affected by this pathogen. Infection on young shoots results in die back of shoots. Die back of shoots became a major problem mainly due to continuous shear/machine harvesting blocks. Grey blight adversely affects the health of the bushes which in turn declines the yield while die back of young shoots directly leads to considerable crop loss. Studies indicated that the disease incidence is at its peak during July to December and the crop loss due to the disease is ~17%. Spraying of carbendazim, mancozeb, or thiophanate methyl is suggested to control these diseases. After screening of several fungicides, the effective ones have been identified and recommended for application. Soil samples were collected from tea growing districts of southern India for isolation of biocontrol agents in order to derive efficient biocontrol organism against grey blight and brown blight pathogens. 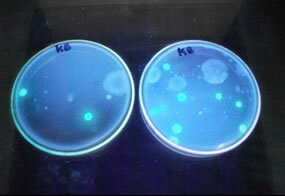 Bacterial and Trichoderma isolates were screened for antagonism against Glomeralla cingulata and results were documented. Collar canker disease caused by the fungus Phomopsis theae (wound pathogen) is a problem in young tea and comprehensive studies were carried out and effective control measures, both chemical and biocontrol were identified. It is prevalent in young tea while clones are more susceptible than seedlings. 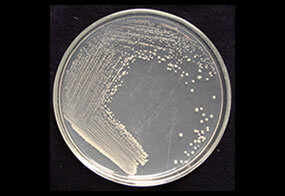 In vitro studies indicated that the pathogen completes its life cycle in 10-13 days. Impact of predisposing factors on disease development indicated that the nature of soil is an important factor. Disease incidence was more in gravelly soil. Deep planting, application of fertilizer near to plant collar and mulching with raw coir pith close to the collar predispose the disease. Soil drenching of the systemic fungicide carbendazim and application of the same as wound dressing provided satisfactory control. However, the efficacy was superior when biological control agents like Trichoderma harzianum and Gliocladium virens, were applied both to the soil around the bush and used for wound dressing. Studies on wood rot and branch canker stem diseases of tea have been considered and control measures through chemical/botanical/biological as integrated schedule then epidemiological aspects are underway. Soil samples of different tea growing districts were collected and beneficial microorganisms were isolated and screened for their antagonistic potential against the tea pathogens. Six strains among the 645 isolates and five Trichoderma strains among 65 isolates showed higher antagonism against Hypoxylon, a wood rot pathogen under in vitro and selection of biocontrol agents against branch canker pathogen is in progress. Studies on wood rot and branch canker stem diseases of tea have been considered and control measures through chemical/botanical/biological as integrated schedule then epidemiological aspects are underway. Soil samples of different tea growing districts were collected and beneficial microorganisms were isolated and screened for their antagonistic potential against the tea pathogens. Alternatives to the conventionally used soil fumigants for tea root disease control have been recommended to the industry. Systemic fungicides like tridemorph and hexaconazole were found effective and incorporation of biocontrol agents like Trichoderma sp. and Gliocladium virens in the planting pits in order to prevent the occurrence of root disease. In biofertilizer research, several efficient strains of nitrogen fixing Azospirillum and phosphobacteria have been isolated from tea soils of different tea districts and region specific potential strains were selected based on laboratory, greenhouse and field experiments. A technology for their mass multiplication has been developed. Experiments proved that composted coir pith is a superior carrier material compared to the commonly used lignite. Efficient strains have been commercialized and available in the market under the brand name of Biodyne-N (Nitrogen fixer: consortium of four Azospirillum) and Biodyne-P (consortium of four phosphate solublizing bacteria). Enumeration of microflora (total viable count, yeast and mould) in made tea is regularly carried out besides the analysis of made tea for total coliforms, E.coli and Salmonella. 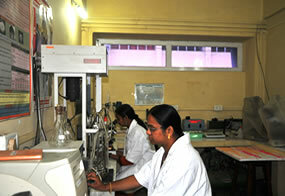 Quality check of commercially available bioformulations (biocontrol agents and biofertilizers) is regularly undertaken. The department has developed a user friendly kit for the quantitative analysis of microbial load present in the tea factory machinery and the kit is available for sale. A nursery experiment with BSS-1 seedlings and clone UPASI-9 was initiated to study the influence of bioinoculants in combination with inorganic fertilizers for its growth and development under integrated approach. Bioinoculants (BF) were incorporated in nursery soil mixture and inorganic fertilizers (IOF) were applied at fortnightly intervals and growth and development of vegetatively propagated clonal cuttings were monitored regularly. Plants treated with 50% IOF + BF registered better height of plant (cm) and biomass production. Number of leaves significantly increased in plants treated with 100% IOF + BF followed by 50% IOF + BF. 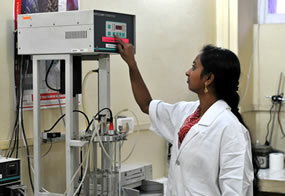 Similar kind of experiment was carried out with young tea plantations as well. Among the treatments, 75% of recommended inorganic fertilizers manure in combination with biofertilizers recorded higher yield next to standard practice in young tea INM trial. Green leaf yield recorded in the mature tea plantation experiments at the Anamallais, Vandiperiyar and Coonoor followed the same trend. As a result of INM trials, consortium of N fixer, phosphobacteria, VAM has provided significant crop yield and better soil health.